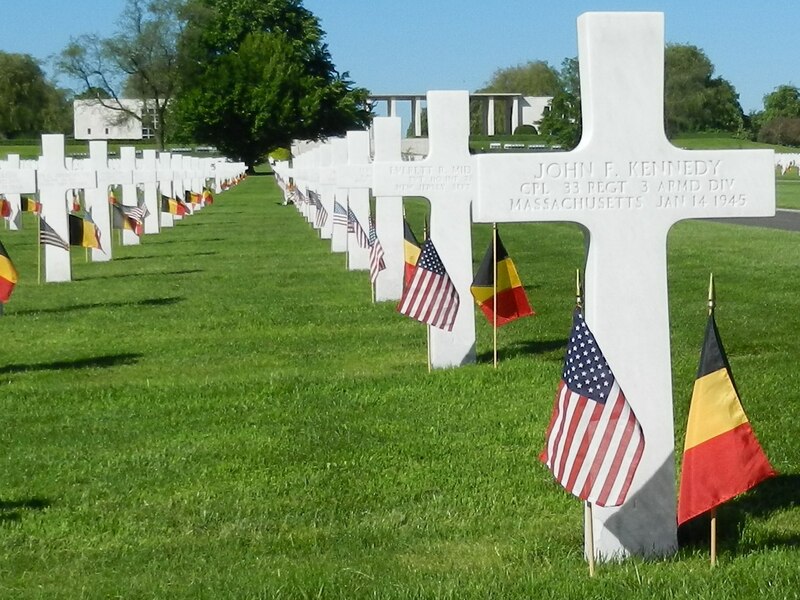 Finally, after many years of wanting to get to Margraten for Memorial Weekend, I made it, and it exceeded all of my expectations. 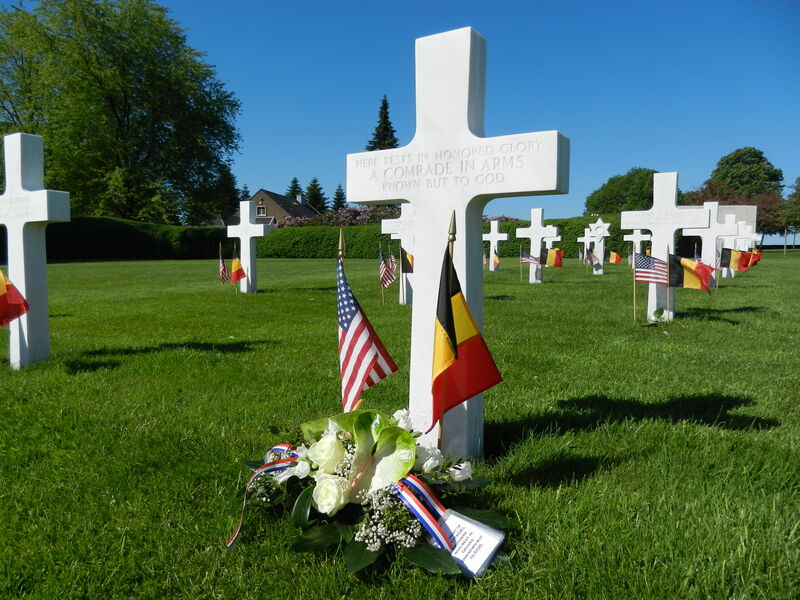 Even better, I was fortunate enough to visit two of the three American cemeteries in the region last weekend and pay my respects to 13 Citadel Men. Filled with countless impressions and new connections, it was a weekend I will keep close to my heart and hold tight. The weather could not have been more perfect. It was gorgeous. The sky was a crystal clear Carolina blue and the grass a deep, lush green. The white marble monuments, Walls of the Missing, and headstones shone brilliantly in the sun. The flags fluttered majestically in the cooling breeze. At Margraten, the rhododendrons were in full bloom providing a fabulous burst of color. The scene had felt very familiar, but I could not place it. Now that I have had time to look back on last weekend, it finally came to me – The Citadel in April. The azaleas blooming, the leaves of the live oaks shimmering in the wind, and squinting into the bright sunlight reflected off of the whitewashed fortresses surrounding the parade deck. Saturday morning I left the house early and stopped at the corner florist entering through the back door to pick up the bouquets and flowers I had ordered. Then I made my way south to Maastricht and then to the Belgium border. Before Liege I headed east towards Aachen, Germany. Henri-Chapelle American Cemetery is situated on the old provincial road between those two old cities. The road runs along the crest of a narrow plateau, and the views of the rural landscape to either side were stunning. I arrived at 9 a.m. moments after the gates had opened. There was little human activity. 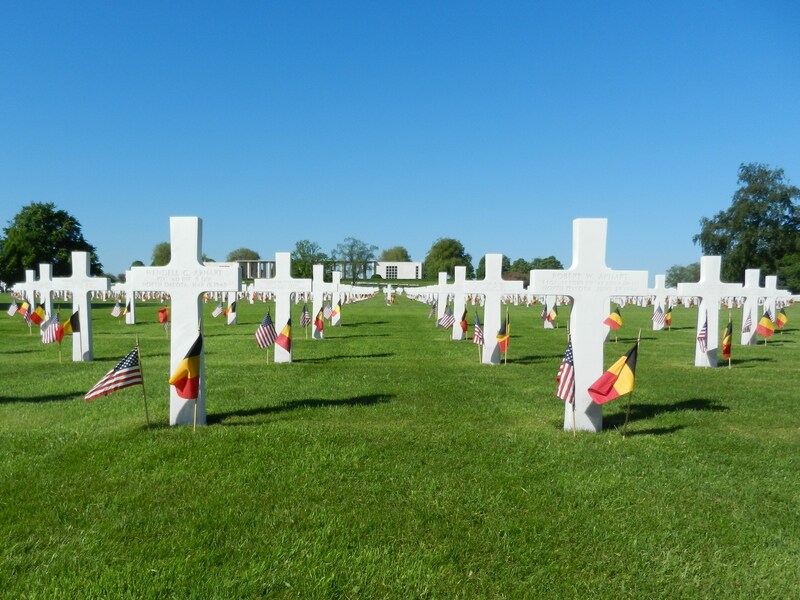 Singing birds enhanced the tranquility, and standing in the middle of that field of honor with its 7,989 white marble crosses and Stars of David, I felt completely at peace. As I walked through the cemetery to the graves of the five Citadel Men, I consciously read the names on each headstone. For the first time, I encountered two brothers buried side-by-side. How heart-broken their mother must have been, I thought. Then I continued to walk and read more names, and my eyes fell upon a familiar, inspiring name. I was awe-struck. It was surreal. I silently stood gazing and wondering. I desperately wanted to ask someone if it truly was what I saw, but there was no one. I came upon the grave of an unknown just in front of the final resting place of 2LT Hagood. I had noticed this grave before on previous visits and had already decided what I needed to do. There I placed a bouquet of flowers in memory of the seven Citadel Men who have no known grave and are memorialized on the Tablets of the Missing in Europe and North Africa. At the center back of the cemetery the flag pole stands sentry in front of a marble wall engraved with the words “In Honored Memory of Those Who Gave Their Lives for Their Country”. There are benches along its length shaded by sweet-smelling coniferous trees. It is a place I like to sit and meditate, but on this day there was no time. I had to keep moving. So with regret, I left the men of Henri-Chapelle and made my way north along the narrow back road that runs the 20 kilometers up to Margraten through farms, orchards, and woods. It was a beautiful day to be out driving. A photo slideshow is available here.